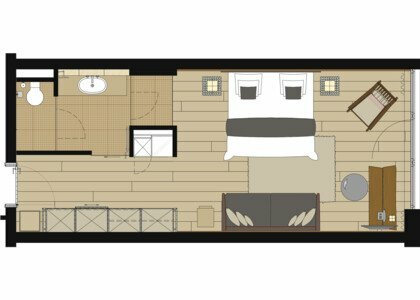 The rooms have a combined living and sleeping space (optionally with a double bed or Austrian twin bed). The living space is furnished with a comfortable rocking chair and a large couch. Standard suites are available upon request with a connecting door to Comfort or Deluxe category rooms. This combination is perfect for families with children, who appreciate separate rooms and additional comfort. For guests who do not wish to miss their bathtub even on vacation and appreciate additional space. For our guests who like to lodge comfortably, but do not spend as much time in their rooms but rather in the public hotel areas and/or outdoors. 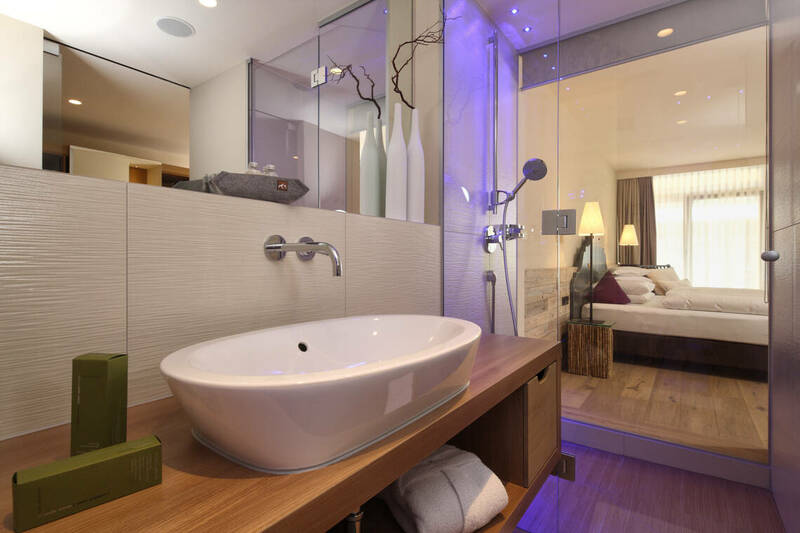 More space – here you can find the room category next in size, bathtub included!